Many people are looking for a VPN that offers a dedicated IP address. Using a dedicated (static) IP address with a VPN will allow you to always appear in the same location. Furthermore, because you aren’t sharing the IP address with hundreds of other users, there is very little chance the IP address will get flagged or blocked. Normally, when you connect to a VPN server, you use an IP address that is shared by other people. While this can be good for privacy, it also creates some problems for the user. Oftentimes, these shared IP addresses are blocked by websites. Authentication is another recurring problem (email, banking, etc.) when using IP addresses that are shared with many other people. Using a dedicated IP address with your VPN service is the solution to these problems. We will cover the pros/cons for each dedicated IP VPN service in more detail below, including all of the available countries. Additionally, we will also discuss two dedicated IP VPNs that you may want to avoid (because they did not do well in testing). 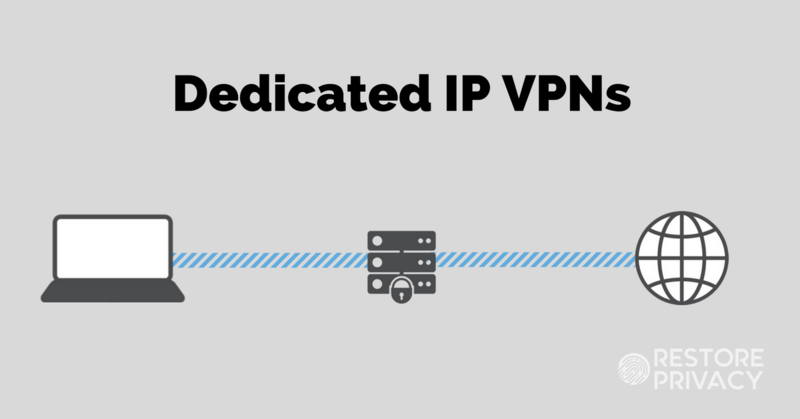 Why use a dedicated IP VPN? There are many different advantages and use cases for using a dedicated IP address through your VPN service. Web browsing – Browsing the internet behind a dedicated IP address will often alleviate hassle and frustration. Many websites block IP addresses that are shared by other users. This is generally a fraud avoidance measure, since multiple users on the same IP address may be a sign of fraudulent activity. You probably won’t have these problems when using a dedicated IP address that’s assigned only to you. Authentication – Perhaps the most annoying hassle with VPNs is having to constantly go through authentication measures. 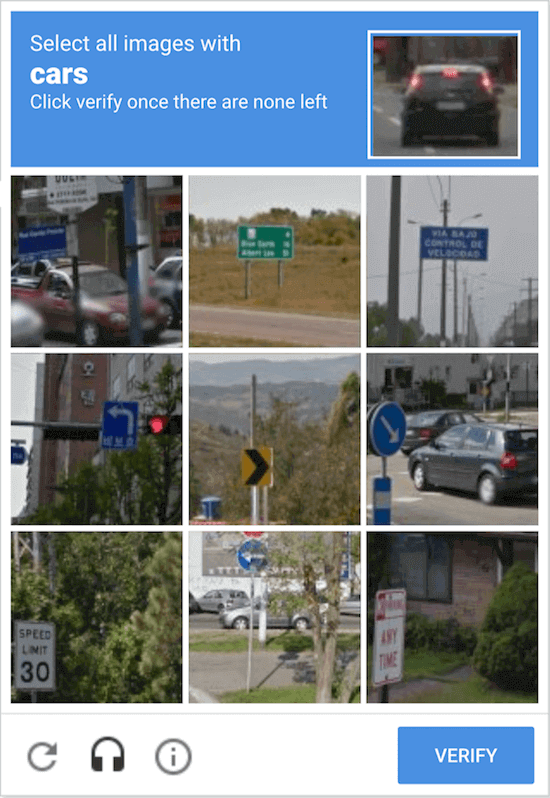 Google’s annoying reCAPTCHA will often be triggered when numerous people are using the same IP address (shared IP addresses). Additionally, logging back into your email or other online accounts will be a lot easier with a dedicated IP address. Streaming – Streaming services, such as Netflix, Amazon and Hulu also block shared IP addresses. If they see numerous people accessing their services from the same IP, it will quickly get blocked (if it’s not already on a blocked list). Aside from a dedicated IP address, there are also VPN services that implement various solutions to unlock all major streaming sites, including Netflix (see ExpressVPN and VPNArea). Banking – As a protection against fraud, there are many banking and financial institutions that block VPN IP addresses. Using a dedicated IP address will most likely get around this problem, since it has probably not been flagged. Gaming – Gaming behind a shared IP address is often a problem, which will result in blocked access or constant authentication requests. A dedicated IP address through your VPN would likely solve this. Now let’s take a quick look at the best VPNs for a dedicated IP address. With each of the options below, there are static IPs available in more than one country. One of the best VPNs for a dedicated IP address is VPNArea. This Bulgaria-based VPN provider offers a great selection of applications for different operating systems and devices. VPNArea also lets you share your account, which gives you up to six connections. Overall, VPNArea did very well in testing for the review. It is a good VPN for privacy-focused users with a strict no logs policy, Bulgaria jurisdiction, secure encryption, and reliable apps that were not found to leak. Another good VPN for a dedicated IP address is NordVPN. NordVPN is a no logs VPN service that is based in Panama. They offer an impressive lineup of servers around the world and apps for all major operating systems and devices. NordVPN also includes a 30 day refund window with all VPN subscriptions, as well as 24/7 live chat support. The main drawback I found when testing it out for the NordVPN review was its mediocre performance. The Mac OS application was also a bit buggy. You can also see below that the prices are somewhat higher for the static IP address, even though the VPN is fairly cheap. The third option that offers dedicated IP addresses is TorGuard. TorGuard is a US-based VPN service that is popular with people who use a VPN for torrenting. It is a service that is known for fast speeds, and it also offers a variety of other add-ons, such as privacy email and proxy services. The one obvious drawback with TorGuard is that it’s based in the United States, which is not an ideal privacy jurisdiction (Five Eyes). On a positive note, however, it is a no logs VPN provider with a pretty good track record. There are a few other VPN providers that offer static IP addresses, but it may be best to avoid them at this time for reasons discussed below. Another interesting development with PureVPN is that they were caught logging customer data and handing the information over to the FBI (US authorities). This all transpired despite PureVPN’s “zero log policy”, which they still claim to have on their website. See this article for more details. 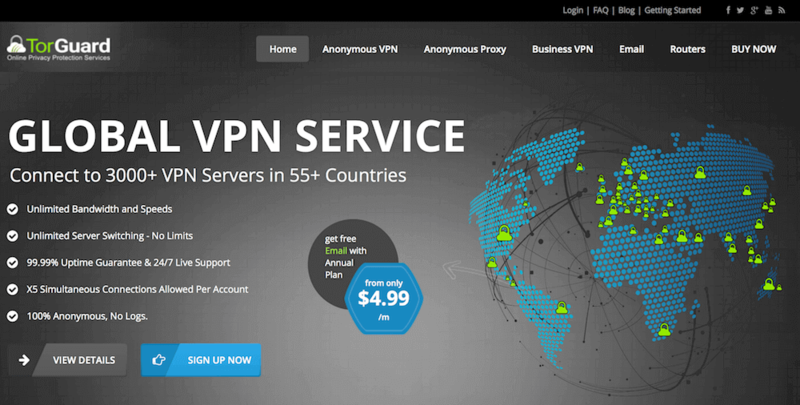 You can get more details by reading the VPN Unlimited review. Ok, we’ve covered the advantages and benefits of using a dedicated IP VPN service, but there are also some disadvantages. Using a dedicated IP address with a VPN is indeed a double-edged sword. While there are benefits of having your own static IP address that only you use, it also means that you are not blending in with other users on the same VPN IP address. In other words, your traffic is not being mixed with all the other people using the same IP address at the same time as you. This leads to a lower level of online anonymity, even though you are still much better off than not using a VPN at all. Shared IP addresses may be a hassle, but they are good for online privacy. One simple solution here is to only use the dedicated IP address when you need it, then use shared IP addresses for everything else. You can accomplish this with VPNArea and the other two services mentioned above. Within the VPN application, you can select whether you want to use your dedicated IP address or a shared IP address with other users. OK, we’ve now covered some of the best static IP VPN services available, as well as a few you may want to avoid. At the end of the day, the best VPN service depends on your unique needs and uses for the VPN. You can enjoy fast speeds and secure, reliable performance with all three of the dedicated IP VPN services below. How to make sure (other than provider’s word) that a dedicated ip is In fact unique and not used by someone else? Hi Sam, I’m not sure there’s a reliable way to verify. Glad you are liking the site. Wouldn’t load because of Shared Ip( confirmed by bank techs). I was hoping a dedicated one would fix it but it turns out it doesn’t. I was looking for a way to at least rule out the shared Ip issue before blaming the bank system which works fine when I am physically in the country. Hi Sam, the issue is probably that the dedicated IP is flagged in some database as belonging to a VPN service, or a data center, rather than a residential user. They may say it’s a “shared IP” simply because the IP address is not classified as a residential user, if that makes sense. hi what VPN would you recommend for someone in Guatemala trying to access their netflix ? Hi Theresa, my current top recommendation for Netflix is ExpressVPN because it offers the best speeds and 24/7 access to Netflix – see the Netflix VPN report. Hi Lee, yes they will. I am looking for a solution to stream hotstar from India. I have tried both windscribe and nordvpn but the servers seems to be slow even 720 p is buffering. Are you aware of any vpn with fastest speeds from India to US. Would a dedicated IP help for speeds although I doubt anyone offers a reliable dedicated IP from India that’s also not cost prohibitive and safe. Give VPNArea a shot. Their speeds are good and they have servers in India – see on their website in the servers tab. THANKS FOR TAKING TIME TO HELP OUT. I NEED A UNITED EMIRATE DEDICATED STATIC IP VPN. Hi, I don’t know of any VPN that offers a dedicated IP address in the UAE, however NordVPN has servers in the UAE. Hello. Since VPNarea & NORDVPN do not keep logs, is it still safe to use a dedicated IP? Hi Chris, the answer to that question would depend on your threat model. The drawback with a dedicated IP address is that your traffic is not getting mixed with other users behind that IP address, but for most users, this is not an issue. The fact that both NordVPN and VPNArea do not keep logs makes this less concerning. Hello Sven. Can you do a full review of TorGuard? Hi Freddy, I’ve taken a break from reviews to work on other privacy guides, but I’ll keep TorGuard in mind when I get more time. Great informations on VPN,I’m new to this but have alot of concern regarding privacy. Here’s my setup,I’m using ProtonVPN basic plan since 2 weeks on my PC,the PC is wired to the Asus RT AC 68U router with WRT Merlin lastest firmware,the basic plan offers 2 devices so I’d like to install the VPN on my router,could you help me with this installation please. My plan is to use the french servers only to have full access to french channels streaming services from a provider,this would be wired to my Oled LG TV because at this time some channels are not available to me,I have messages like this one,this program is not available in your area and the provider would not accept using a VPN in their policy. What about using a dedicated IP,I don’t know if ProtonVPN is offering this solution,will have to check on this first I guess but I already paid for one year plan. The TV is also wired to the router,only a tablet is connecting to the Asus router via Wi Fi . Could you help me chose the best solution for my set up please. Hi Theirry, I think you can do what you describe: just connect the router to a VPN server in France, and then use the remaining connection with another device. I don’t have a guide for Merlin, but it is pretty straight forward and similar to using the standard AsusWRT firmware. See this guide for an outline. A dedicated IP address may be the solution if some services are blocking VPNs and you can’t get through – but it’s no guarantee. I can tell you chosing a VPN is not an easy task,thanks for your great work and articles,it helps us alot. Will keep my reading and testing for a while and then one day I’ll have to decide,I will check on those offering a dedicated IP this week.